This is so simple that I can't believe I haven't posted about this, but I also think it's hugely worthwhile. I have a cotton ball jar in my classroom. I started with cotton balls and meant to upgrade to those craft puffball things, but never did, and I have to say- dollar store cup and cotton balls have worked just fine. It's not a new idea, at all. 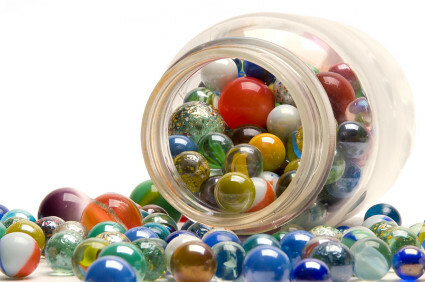 Many people use a marble jar or something similar, and kids get to add a marble whenever they get a compliment or do something exceptionally well as a class. But I don't stop there. There are certain things that I think are worth more. For instance, a compliment from a lunch or recess supervisor? In my last job, that was ME- so it's definitely worth extra. Another time that behavior is hugely important is a safety drill. For me, there's no talking, no excuses- and since it's so important, it's worth more. Annnnnd finally, the hardest time to behave- when there is a substitute teacher. To me, a day with a substitute teacher is really when I need my kids on their best behavior- so to show them how important it is to me, they can earn extra cotton balls. It's simple, really. I'm making the things that I value more also be more valuable to them. 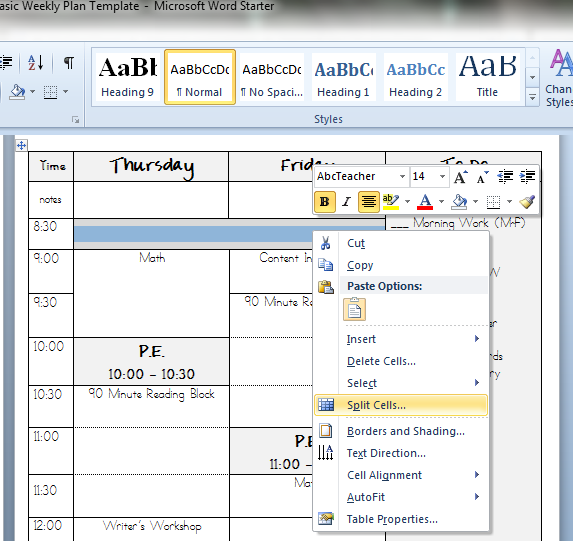 It's now super easy to make sub plan templates in Microsoft Word. It takes a little time up front, but trust me when I say that it makes sub plans so much easier later, when you need them. I make my plans at the beginning of the year, but for the next few weeks, I try them out and make notes to myself of what I need to change or add. Things like "Johnny to speech" and "Kasey to O.T." are great little notes to add in in a tiny font as they come up. 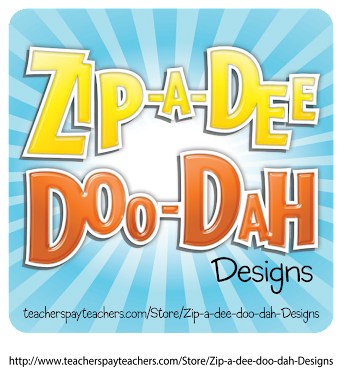 First, save a copy of your lesson plans with a different name. 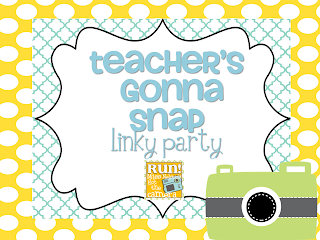 No need to accidentally lose your lesson plans! Then, I like to open it so I can see a 2-page spread. Now, highlight the column you want to make plans for. I'm making sub plans for Friday. Copy this column, and then open a new Word document. Paste it into the new document. You may want to adjust the margins. When I did this, my table fell off the side of the page. Oh no! What to do now? Not to fear! Go down to the views and click Web Layout. It'll let you see the edge of the table so you can bring it back in again. You don't have to be exact- just bring it in a little. Then you can switch back to the normal page view to adjust. I go back and copy/ paste the time column, too, to stick in front of the Friday column. Hit Save As... and name it something like Sub Plans- Monday 2012. (I put the Sub Plans part first so that they all end up right next to each other in my folder.) I totally suggest using DropBox for this, so you can access it from home or school! Now, I go through and type in more details where a sub would need them. I always include this in a folder that has more information about normal procedures, but I want to put the most necessary things here, such as attention-getting, behavioral system, and any special health needs. It's okay if your table goes over one page. My sub plans are usually 2 or 3. I still like how the table breaks up the day into parts and makes it really easy to tell when something major (like a special or lunch) is happening. I leave the subject spaces empty to fill in later. If you want to keep making plans for each day, keep this document open so you can copy and paste the explanations that stay the same from day to day. 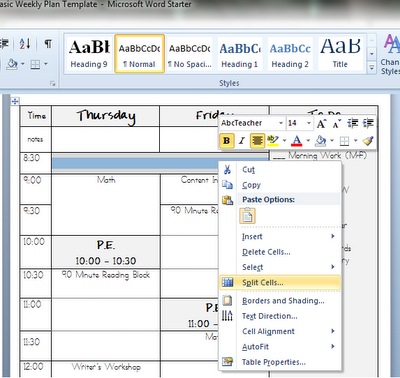 You can go back to your lesson plan page and copy relevant columns to make a document for each day of the week. Delete or add columns until you have just the time and day. 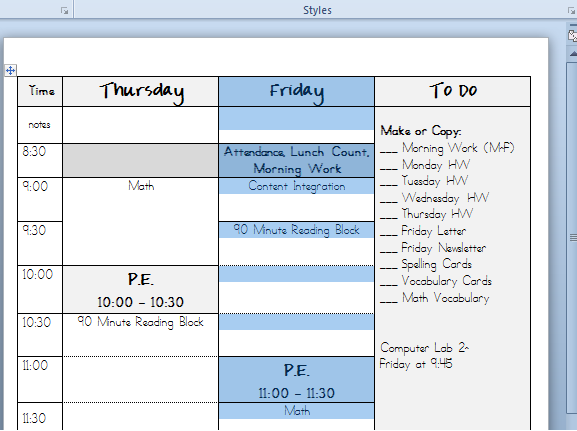 Then, proceed to copy/paste any relevant explanations (for instance, my explanations for lunch, attendance, and dismissal stay the same every day) and fill in any that are different. Now, when I need to be absent, I have a file ready for each day with most of the complicated stuff written out, and spaces for each subject. I always include an extra copy of the sub plans in the folder, and underneath I put copies and resources in order, paper-clipped together, with Post-It notes labeling each one. Of course, if you're looking for sub plans that are easy to leave in a pinch, I posted about some of my favorite lesson plans to leave for subs at the last minute and linked to 5 freebies for you, so be sure to check out this post! 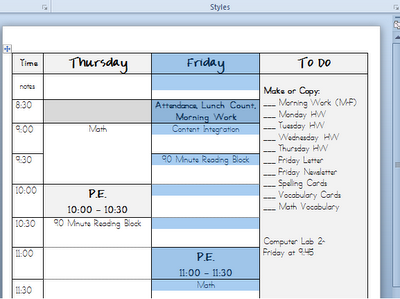 Meanwhile, you may be wondering why I put myself through all this work to leave sub plans for last Friday. I love that Miss Nelson is running her monthly Teacher’s Gonna Snap! linky party. 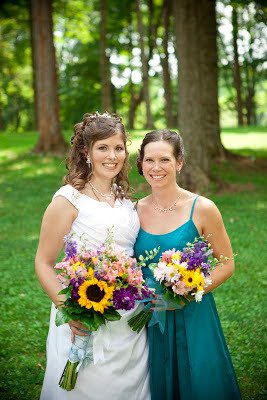 It gives me an excuse to post all the old pictures of stuff we’ve done over the last few weeks! Please, feel free to pin for next year, when I’m not way too late for these ideas to be helpful to you! Here’s what we’ve been doing lately! And finally, how cool is this?! Yes, that’s me with Jack Hanna. Not a school event, but so, so cool to get to meet him! Make sure you go link up with Miss Nelson! Teach Bake Love wrote a post of her Motivation Top Ten recently, and I thought it was such a great idea. I did steal a couple of her top ten suggestions :) but make sure you check out her post, too! What are the top ten ways you motivate your students? 12. Have multiple ways to reward! I have individual rewards (clip chart), group rewards (froggy below), and class rewards (cotton ball jar). This way, I can use the good kind of peer pressure, but I can also reward individuals who earn it. Okay, it sounds too simple to be worth anything. But I find that making a point to smile at kids after they answer, or even when I'm reminding them of the rules, makes them more motivated to try. 10. Document data and share their growth. Data-driven education makes a lot of sense for a lot of reasons, but showing students data when they're improving can be really motivating. Kids love to see their improvement! I am careful with this one, though- sometimes, if we're not seeing growth even when someone is trying hard, it can be discouraging. 9. Give them chances to be social. 8. Get to know your kids. When I make a math journal problem, I put in a current student's name and try to make the situation involve an interest. It can be as simple as knowing that a kid likes LEGOs, but it's motivating. I also try to go to their events outside of school occasionally if they invite me (and I'm free), but I realize it'll be a lot harder to do that when I have a family of my own. 7. Show off their best work. This can be in the hallway, to colleagues, to the principal, to parents... but I find that showing their work to their peers and complimenting them- or better yet, letting the students compliment them- raises the motivation considerably. I miss my ELMO for this! Especially in science, I feel like we dumb things down a lot for kids. I make a point of telling my class when something we're doing isn't officially "third grade" material, but that I think they can handle it. I work a lot at the beginning of the year to teach them that challenges are fun chances to make your brain stronger, so that they come to enjoy them and rise to them instead of fearing anything difficult. Behaviorally, when I give a reminder of the rules, I like to add, "I know you can do this!" 5. But let them know that you don't expect perfection. My kids know that I don't expect them to get things right every time. I reward great thinking, not just right answers. 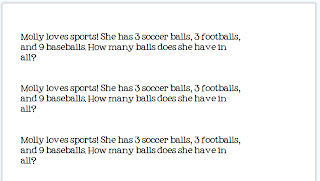 (For instance, I might show the class a math journal entry that has a mistake and has the wrong answer, but used a really creative problem-solving strategy.) They have had ingrained into them that clipping down is okay because they can always turn it around. They hear me say- often- that I made a mistake or that I have things I'm still working on, too, so they know that my expectations for achievement are a little different for each individual, even though I always have high expectations for their effort. At my last school, we had a prize menu sort of thing, and I was always amazed with kids turning down toys or candy if I would call their parents with positive news, or send a positive note home, but it was extremely motivating. I found these great postcards at Wal-Mart at the beginning of the year, and I use them to write random positive notes to my students. They get something in the mail, their parents get to see, they get to keep it, and it's a way to let them know that I see the little things they are doing well. I keep a checklist with my postcards so I can make sure I do this for everyone! 3. Get to know how each student likes to be recognized. For really exceptional things, my students can visit the principal for a special reward, and she will announce their name during our morning announcements. For most of our kids, this is fantastic- but I had one girl last year who deserved the recognition but asked that the principal please not announce her name because she was so shy and she would have felt embarrassed. Most students like positive praise in front of their peers, but others may want it shared with their parents, or even just privately, and it's important to know that you're recognizing the student in a way they are okay with. 2. Give positive reinforcement when it's earned. My favorite thing about the clip chart system is that I say "clip up" twice as much as I say "clip down." Many times I can point out misbehavior in a way that doesn't shame anyone or even punish them in any way, while recognizing those doing the expected behavior. I love, too, that I can use it for anything. My kids know that clipping up rewards exceptional behavior, but that exceptional for one kid might be different than exceptional for another, based on what they are each working on. I use other strategies, too, but I love the clip chart for this! They also get a chance to be enshrined in the "Sparkling Hall of Fame" which they love, and for various reasons, my kids can be chosen to be a "Star Student" on the newsletter. The qualifier changes each week, so I get to recognize different kids. 1. Keep my instruction interesting and my students involved- especially through integration! I was once told by a very smart teacher that the best management plan is a great lesson plan. If your students are engaged, they are less likely to be misbehaving or unmotivated. For me, integrating science and social studies into reading and math is one of the best ways to do this. I LOVE teaching in themes, and I find that my students are so much more motivated when they can see connections between what they are learning! So, there you have it- my top ten 12 ways to motivate students. I know it's not perfect, though- so feel free to share what you do!